It’s my 1 year Blog-a versary and I want to celebrate by giving away a Target Gift Card to one of you!!! WOW… where does the time ago. One year ago after a couple of weeks of sulking after quitting my job (read that post here), I decided to start this blog. It was a way for me to vent, to explore, to remember who Sharon really was. My goal was to share what our life with autism is like and to bring awareness to my family, to my friends and to anyone else who happened who accidentally landed on my domain. And somewhere down the line, it happened. I cannot pin point the exact time it happened, but non the less it happened. The words, the feelings, the passion that for so long I had buried way down deep inside started to come out. Some days my fingers could not type quick enough to keep up with them. With every push of the send button I felt lifted. My soul had once again come alive… I had found Sharon again. I found my passion. I want to do something special to celebrate this special day. Since presents seem to make everything a little more exciting… I want to give one of you one. So here is what I thought I would do. I have a $25 Target gift card that I would like to give to one of my followers. In order to be eligible to win it all you have to do is leave a comment on this blog post. Wish me a happy Blog-A Versary, share a favorite blog moment, Facebook story or just say I want to win… it doesn’t matter. You don’t have to join my Facebook page or re-tweet this on twitter (Although I wouldn’t stop you from doing either HA HA HA). Just leave a comment here. I will keep this contest open until Monday, March 5th, 2012 Midnight EST and on Tuesday the 6th, I will use random.org and pick a winner from the comments left. See how simple! I will announce the winner via this blog and on my Facebook page and will then contact the winner via email to get your mailing address to send the Target card to you. One card and one winner but a 1,000 thank yous to you all! I say all the time on my Facebook page that I don’t know what I would do without my village… I mean that too! Happy Blogiversary. I love reading your blog and knowing that I am not alone. You are quite funny and inspiring. Happy Blog-A Versary! I’ve just started following your blog and I really enjoy it! My 3 year old angel of a son with autism has made me stop and celebrate the small achievements and precious moments in life. Happy Blog-a-versary! I started following your blog to help me gain a little more perspective on my BFF’s Aspie son. I have my BS Ed in ECE and 17 years of experience but just not much in this area. You’ve been enlightening for me. Thanks! Happy Blogaversary Sharon. I love reading your blog and thanks for enlightening me with every blog you write! I have enjoyed so much of what you do! So I am glad I am a part of your celebration. I do have to mention my favorite though. It was a column from a magazine I believe based around Dallas…. the one about both kids, a donut shop and a penny…. made my heart BIG and proud for you, of you and your children! Happy Bloggaversary! It seems to me like you’ve always been around. I can’t imagine how it’s only been one year. Thera Nichole Ledet wrote: well tried to post but wont let me from my phone. congrats on 1 yr and keep it up! you are wonderful for doing this and putting yourself out there like that! Happy Blog-A-Versary!!!!!! I have been following your FB page for a while now (with random visits to your blog). I have to say, my favorite moment was within this post. The comment you made that “I cannot pin point the exact time it happened, but non the less it happened. The words, the feelings, the passion that for so long I had buried way down deep inside started to come out. Some days my fingers could not type quick enough to keep up with them. With every push of the send button I felt lifted. My soul had once again come alive… I had found Sharon again. I found my passion.” That sound so much like myself. However, I never really liked to write until I discovered blogging a couple of years ago. Thank you for sharing yourself with us all! I just found your blog this morning through facebook. I have a 4 year old son with ASD. He is the strongest boy I know and definitely my hero. I can’t wait to look through your old archives. Thanks for sharing your experiences with us. Thanks for keeping me up to date on all things autism. It is so nice to know that I am not alone out there. Happy Blog-a-versary! Thanks for sharing your experiences with us. No one understands me quite like other fellow parents of autistic children do! Keep it up! I found your blog on Dreamcatchers FB page and think I am going to have alot of reading to do for a while. Happy 1 year! [WORDPRESS HASHCASH] The poster sent us '0 which is not a hashcash value. Much love to you and yours, Sharon, on this very special blog-a-versary. You should be so proud that your life and stories provide so much inspiration to so many of us out there. I feel privaledged to have gotten to know you and your family and that you allow all of us to share in your journey. Keep up the great work! Happy Blog-A-Versary!!! Love reading your stuff!!! Often feel all alone in this!!! Your posts help a lot!! Also, I love that your daughter has a section!! 🙂 I think my non-autistic seven year old would enjoy reading her stuff and will pass it along!! Thanks again!! Hello, I don’t read your page often since I don’t read all the blogs I know of often because of 2 little ones with autism and not getting much time, but I do come to your page when I need a pick me up. You inspire me and make me feel less alone out there! Happy Blog-versary!! Keep it up!!! I would love a chance to win and I hope you had a very happy blog-a-versary!!! I would love a chance to win and I hope you had a very happy blog-a-versary!!! I just found your site today, so I can’t honestly comment on my favorite story, but I will continue to follow you! You sound both inspirational and funny; a great combination! Many thanks! Congrats on your one year! Thank you for giving us all such a candid glimpse into your life. I truly enjoy reading your blog and laughing and crying with you. Happy Blog-A-Versary!!! Thanks for sharing your life with us! I have a 13 yr old son with Aspergers. I would love the gift card. Happy 1 year. I only found your page after my 5yo was diagnosed with Asperger’s; I have 2 with much more severe autism and my 5yo was something I’d never seen before. Thank you for making things a little less lonely. Congrats! keep up the hard work! happy Blog-a-versary! I think I need to blog, my son has SPD and I am so pissed at the school system right now so I vent in word docs since my husband and I aren’t seeing it eye to eye. Even thought he doesn’t have ASD I find thouse blogs to be the most helpfult to read. thanks for putting your life out there! How does it feel to know your words help so many others?? At the end if the day what a good feeling that must be! Keep up the great work. 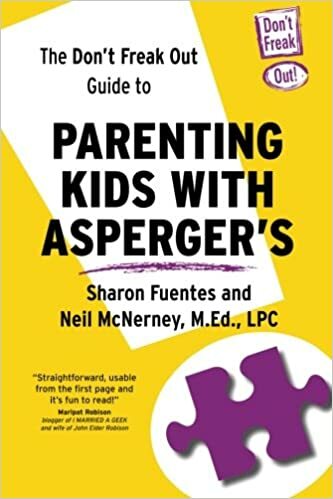 Thanks for validating my feelings and experiences with my son who has Asperger’s. We do need to figure out who we are again as they grow older. Thank you for reminding me of that! Happy Blogiversary! It is awesome what you have done for yourself, your son, and everyone out there. I knew you could it. Here’s to another year of funny, sad, uplifting, teary eyed and more blogs. I am sorry I have been out of touch but want you to know I read you postings everyday . It’s hard to find good support in dealing with a child that is unique and blessed – right now I am still in the mist of getting my child the right rx. Somedays it seems so impossible and is just so stressful that I remember that their are people like you who I can turn to a vent and you’ll get it – so happy blog birthday and may you continue to shine light into people’s hearts and give them much needed information .